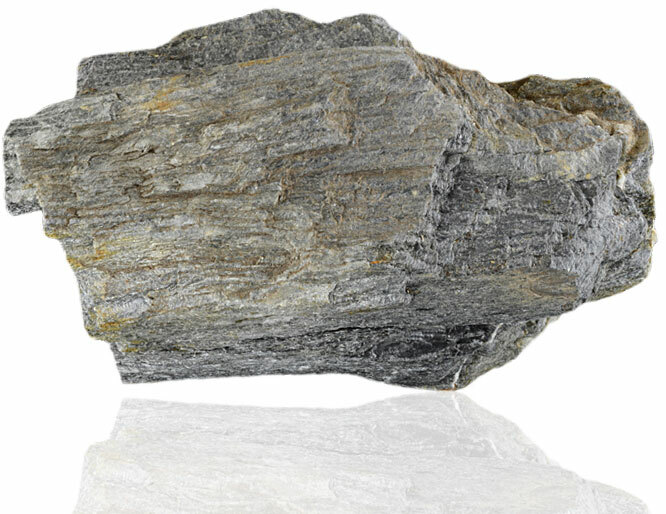 Phyllite is a metamorphic rock which forms when slate is further metamorphosed until very fine grained white mica attains a preferred orientation. Slate has fine clay flakes which is oriented but with the phyllite it has fine grained mica flakes that are oriented. 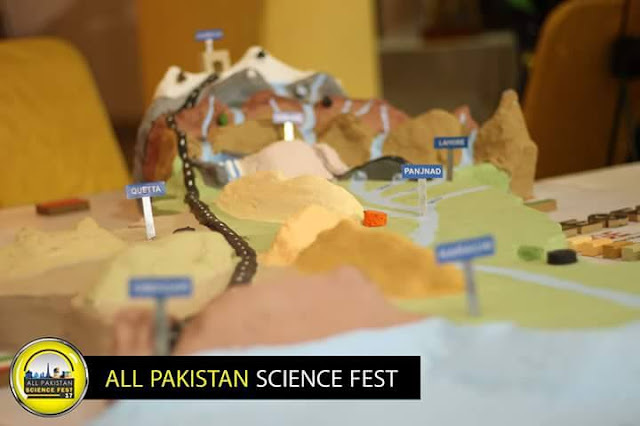 Its constituent platy minerals are larger than those in slate but are not visible with naked eye. Phyllites are said to have a texture called Phyllitic sheen and are usually classified as having formed through low-grade metamorphism conditions through regional metamorphism. 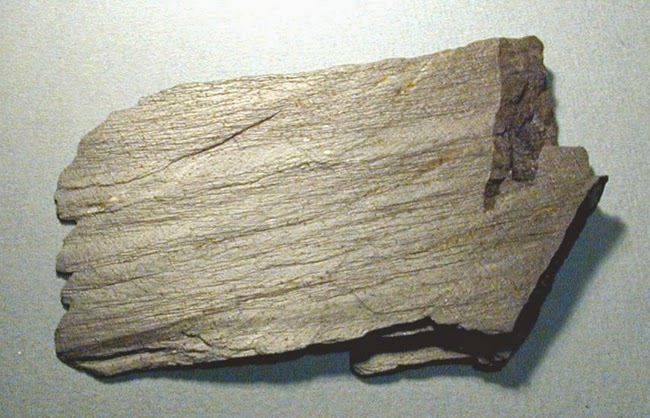 The protolith (or parent rock) for phyllite is shale or pelite, or slate, which in turn came from a shale protolith. Its constituent platy minerals are larger than those in slate but are not visible with the naked eye. Phyllites are said to have a texture called "phyllitic sheen," and are usually classified as having formed through low-grade metamorphic conditions through regional metamorphism metamorphic facies. Phyllite has good fissility (a tendency to split into sheets). Phyllites are usually black to gray or light greenish gray in color. The foliation is commonly crinkled or wavy in appearance. 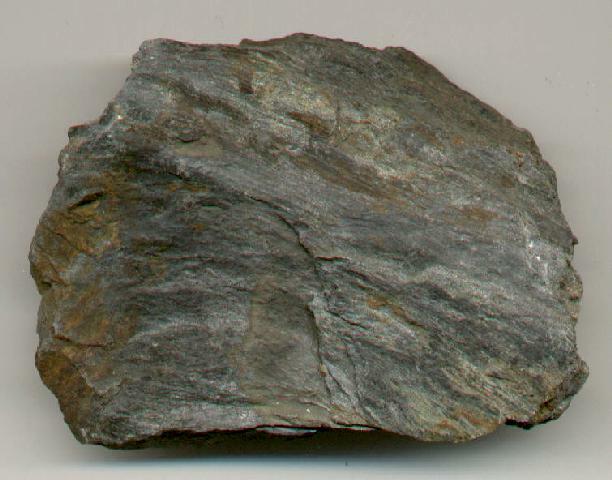 Phyllite is commonly found in the Dalradian metasediments of northwest Arran. In north Cornwall, there are Tredorn phyllites and Woolgarden phyllites. Minute crystals of graphite, sericite, chlorite or translucent fine grained white mica found in phyllite imparts a silky sheen to the surfaces of cleavage is called phyllitic luster. 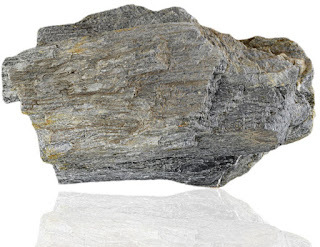 Phyllite is composed of graphite, sericite, chlorite, mica and similar minerals. The colour of phyllite is typically medium grey or greenish. The word phyllite is from Greek work Phyllon means leaf so phyllite means leaf-stone.